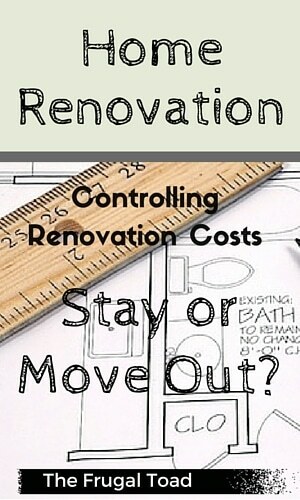 Controlling Renovation Costs: Stay in Place or Move Out Temporarily? Planning a major renovation can be the ideal way to improve your home. You might be considering remodeling the kitchen or bathroom. Perhaps you're thinking about adding additional rooms to expand your living space. Regardless of the type of renovation project you're planning, the question of whether to stay in the home or move out temporarily always comes up. The answer will depend heavily on a variety of different things. Most people assume that paying rent for temporary accommodation for the duration of the renovation is an unnecessary extra cost. However, staying in place could potentially delay progress, especially if you and your family are in the way of work being done. Calculate the approximate cost of rent for the duration of the project. 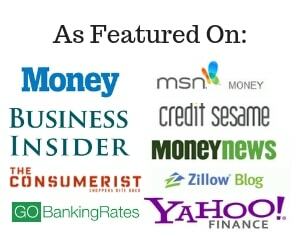 There are plenty of good budget calculators available to help you with this step. Then ask your contractors whether they're able to complete work faster with you out of the way. In some cases, they may be able to reduce the schedule, saving you money on labor costs overall. You may also find that some contractors charge more on projects where the owners intend on staying in residence during the work. Contractors anticipate extra costs for ongoing clean-up and time spent discussing work with the owners on a daily basis. The type of project you're planning can be the deciding factor on whether you should stay on or relocate temporarily. A large renovation that leaves you with no kitchen, no bathroom, and only a single room to sleep in might be more inconvenience than most families can deal with. Some renovations may involve disconnecting the water, plumbing and electricity during progress. This is especially true if you’re updating your home to carry out energy efficient improvements. It may be difficult to remain living in the home until those services are connected again. Likewise, if you're removing the roof in order to add a second story, you're more likely to move out until work is complete. Heating or cooling a home with no roof can be impossible. If you have kids or pets, you have the responsibility of trying to keep them separated from the contractors and away from work in progress. Pets can get disturbed easily by loud noises and incessant activity. Some contractors may add pet clauses into the contract indemnifying them in the event that pets get loose or injured during construction. Kids may be curious about what's going on and want to talk to the contractors, distracting them from getting any work done. If you're paying an hourly rate for work, costs will start to add up quickly. Living in a construction zone is exhausting and potentially unhealthy. Contractors tend to start work early in the morning, so you have early morning noise to contend with. You'll have contractors coming and going at all hours of the day delivering materials and supplies. There's also the ongoing dust and debris to think about. A major renovation involves plenty of dust and grime collecting around your home. You'll find dust works its way into your cupboards and wardrobes, in your clothing, in ducts and in vents. Think about putting plastic covers over furniture to help protect it. Seal clothing in vacuum-sealed bags to keep them dust-free, and close or seal any vents or ducts. If you're still living in the home during the worst of the mess, the responsibility of cleaning up after messy workers every day can be too much for many people over a period of time. Of course, you can ask your contractors to clean up after themselves each day. However, if you're paying an hourly rate for workers you end up paying them to clean rather than work. There will be workers all over the home right throughout the project, which can feel very invasive if you're trying to live your life around them. It can also be stressful to see your home in a state of total chaos while construction is going on. If you do decide that moving out temporarily is the best option for your renovation project, you have plenty of options available. Some people move in with a relative to keep costs down until the project is complete. Others move into a mobile home park temporarily to keep costs down. Some people prefer to opt for a short-term rental property for the duration of the project. It's not always necessary to move out during a major renovation, but there are definitely times when it can be a good decision. Take the time to think through your project and how it might impact your family during progress. You’ll find it easier to make an informed decision about whether to stay or go. What About After the Renovation? Many homeowners renovate their homes in order to improve the chances it will sell quickly and for top dollar. Finding the right realtor that can market your home and help you price the property correctly is critical. Of course, you never know what the future holds. Your employer may ask you to relocate and you may need to sell your house quickly . After investing all that money in a renovation, it's prudent to set aside some money each month for routine maintenance to protect your investment. Clearly, owning a home has many benefits however, there are many things to consider. Read more on the hidden costs of home ownership. 2 Responses to Controlling Renovation Costs: Stay in Place or Move Out Temporarily? Construction work is really exhausting for every home owner. It’s not easy to deal with contractors, while trying to deal with your everyday life. And I’ve never been very comfortable having unsupervised strangers in my house. But in some cases we don’t have a choice, I guess. We moved out temporarily when we had major home renovation. It took almost a month and we stayed at my Aunt’s house. We tried to stay at first at our house because we thought we could get by but it was so cluttery and kids were stressed and complained whenever they came home from school and one of them had an asthma attack so we decided to move out temporarily.